Measuring fuel consumption in a power plant is critical in establishing unit working efficiency, and calculating fuel billing costs. 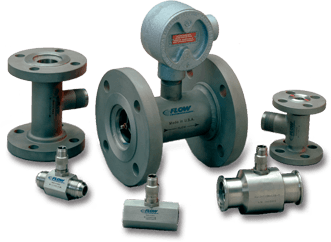 But accurately measuring the fuel flow of oil can be a problem for many flowmeter designs. With a choice of turbine flowmeters, PD flow meters, or ultrasonic meters Flow Technology has the correct device for measuring clean, light fuels or heavier fuel oils. A system consisting of a Flow Technology flowmeter, temperature compensating flow computer and rate/totalizer provides the optimum solution for measuring volumetric or mass flow rate. This data, in turn, can be used for a precise determination of net fuel oil consumption.